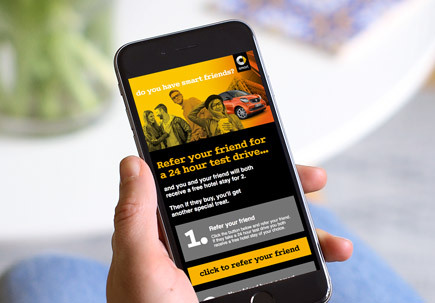 A Selection of Email Campaigns with animation. 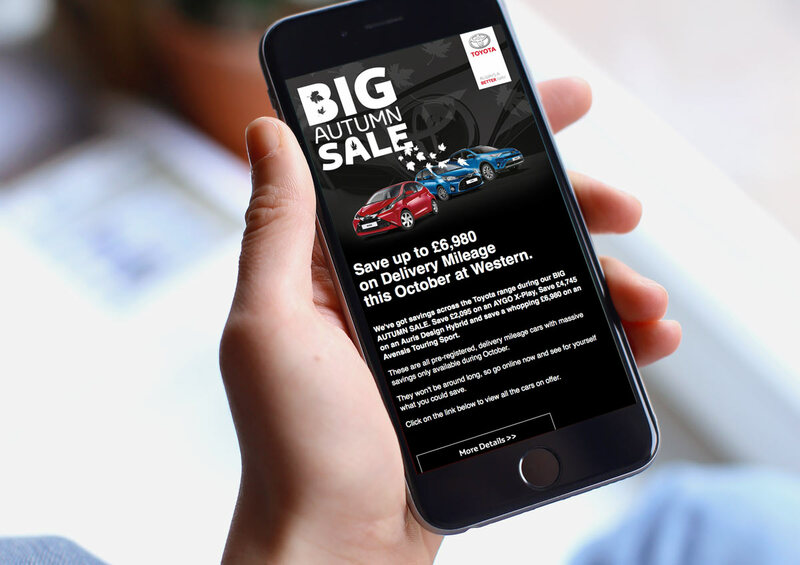 Designed to promote the Toyota Autumn Sale the email clicked through to a custom sale page. The design incorporated an animated GIF header to make the email more eye catching. Data collected from the email was used to make follow up calls and ultimately customer appointments. Referral email designed for smart of Edinburgh. The aim was to drive sales beyond the usual smart community. Email invitation for the MINI JCW launch playing on the famous MINI go-kart handling. 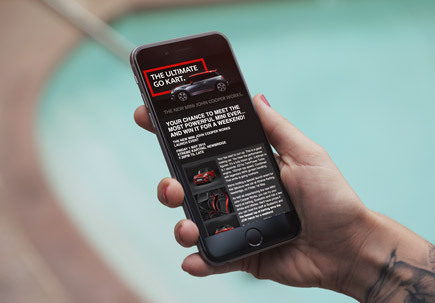 Targeted email designed for the high-end Lexus RC-F sports car, the content focussed on the story of each highly customised vehicle. 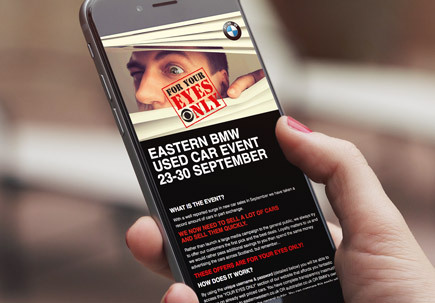 A customer only event, inviting users to log in with unique details and view the offers online. 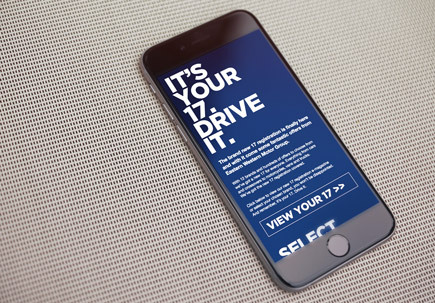 Campaign to launch the new 17 registration. 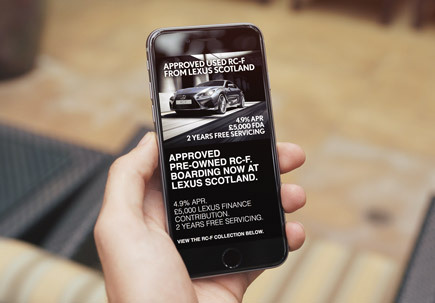 This was rolled out across the Eastern Western Motor Group inviting customers to view a range of 17 reg offers on a mobile and desktop mini-site. 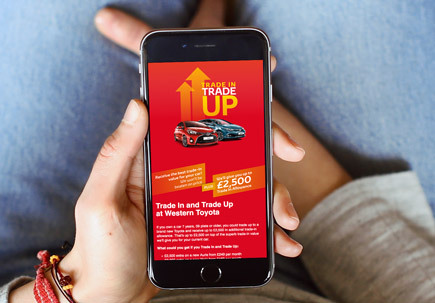 Targeted at customers with older cars, the campaign encouraged people to trade up with a range of special trade in offers. See what's happening on my other feeds or send me an email. © Gary Ferguson. All rights reserved.